Fiberglass shower pans by JC Fiberglass are extremely durable and waterproof for a lifetime. No matter what the size or shape of your shower, our fiberglass installation experts can help you get a custom installation that ensures your shower will never leak. JC Fiberglass double layers the entire shower pan with 2 oz. per sq. 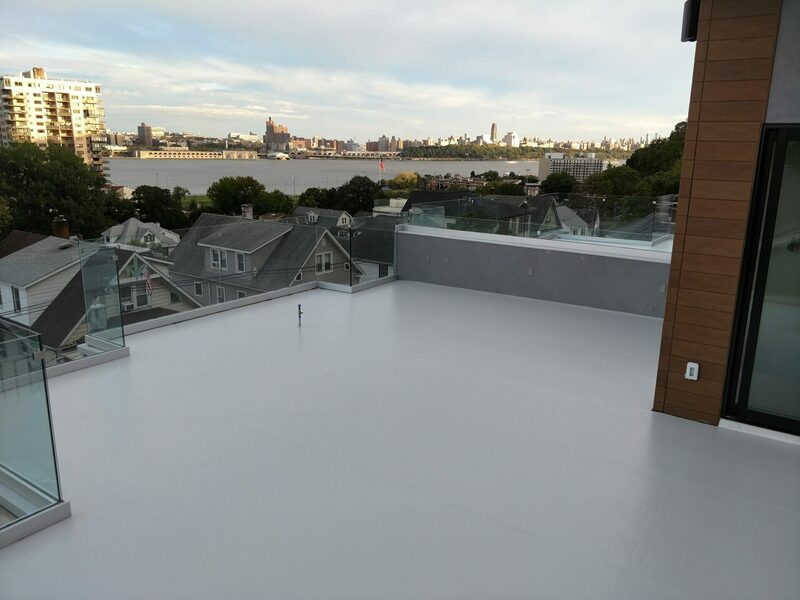 ft. Owens Corning chopped strand mat as well as install the top interlocking drain piece while the resin is uncured to ensure perfect adhesion. All of our shower pans come finished with either a colored gel coat or red guard finish depending on your town’s code. We also offer pitching of the floor surface to the drains as most towns code requires. 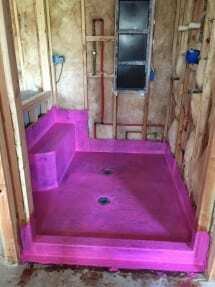 JC Fiberglass LLC does not sell pre-molded fiberglass shower stalls; our liners are for showers that are going to be finished with tile. We also fully wrap all sills outside and down to the floor. 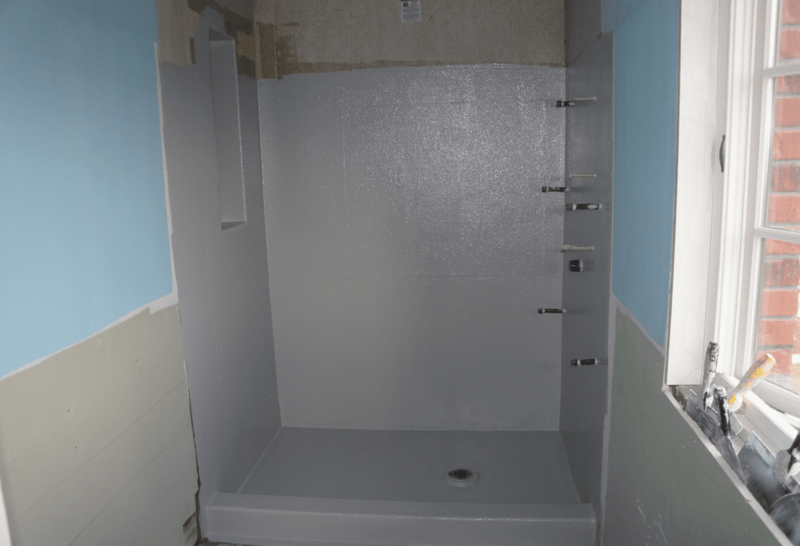 This fiberglass shower pan was installed by JC Fiberglass. Contact JC Fiberglass for your next fiberglass shower pan installation in NY, NJ, or PA!